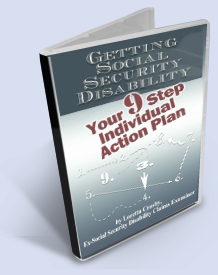 Do you have a website devoted to some aspect of Social Security Disability? If so, why not link to this site? We are currently accepting applications from potential reciprocal Link Partners. By linking to this site, it makes it easier for our readers to find the things they need information on, all in one place. Beyond that, here are some more reasons you might consider linking here. Once your request has been received, I will visit your site and determine whether or not it is a good match for our readers. Simply copy and paste the html text below onto your web page and a link will go live to our site. Ex Social Security Disability Claims Examiner gives tips on getting accurate Disability Insurance Benefits & SSI decisions. Check disability claim status, forms, find attorneys, advocates and more. Thanks for considering becoming a link partner.